All over the world there are pacifist groups who organize protests against war conducted by the West with the goal of promoting peace. Their actions are fully understandable when one considers that Western powers conduct war in the Middle East under the pretext of spreading democracy and human rights while in reality these countries solely pursue their own national interests. However, it is incomprehensible when some of these so called pacifists in Armenia take the same line of reasoning used against wars of imperialism and attempt to apply it to Armenia and its defensive wars of survival. Armenia is a country whose only open borders are with Georgia and Iran. The Turkish border is fully blockaded by Turkey and militarized, while with Azerbaijan, contrary to what many politicians say or believe, Armenia does not have an officially recognized border but a line of contact which is composed of military posts and minefields. Since the fragile ceasefire of May of 1994, there has been an undeclared war at the line of contact with Azerbaijan and the temporary peace – which is violated on a daily basis – is enforced by our soldiers on the frontline. Apart from the tension at the line of contact, Baku’s authorities do not miss any opportunity to promote their hatred toward the Armenian Nation and openly declare their claim to Sevan and Yerevan. If we take into consideration the tension on the frontline along with Baku’s open propaganda on an almost daily basis, we can only conclude that unlike Armenia, our neighbor has no intention of peace whatsoever in the near future. On the contrary, all news originating from the country proves that they are mobilizing their population and preparing them psychologically for the next war. In fact, the only factor stopping a new war, and hence upholding the tentative peace, is the strength of the Armenian Armed Forces, and the fact that Azerbaijan doesn’t believe it has the advantage necessary yet to make any gains in a new war. In this context, it is very strange- and even suspicious- that under the guise of peace, some of these pacifist groups attempt to weaken the general support for the Armenian Armed Forces while we are an unwilling participant in this undeclared war. A foreign-sponsored NGO called Women in Black Initiative (a reference to mothers who have lost their children in the army despite most of its members being young activists also involved in other NGOs) describes itself on its website as “an anti-militarist, feminist, peace-building initiative”, and conducts “peace” classes in schools where peace is described as the only potential outcome of the conflict, thus minimizing the role of the Armenian Armed Forces and even questioning its need and existence. Peace was the position of the Armenians when they peacefully voted for independence – twice – but were massacred by Azerbaijanis in Sumgait, Kirovabad, and Baku. Peace has also been the position of the Armenians since the ceasefire, which has been continuously violated by Azerbaijan, most recently during the Four Day War. However, considering that Armenia is the smaller country, always on the defensive, and that it will almost certainly once again not be the party that starts the next conflict, it seems strange that peace is preached to the Armenian side, while questioning the very need of the existence of its armed forces with “an anti-militarist” rhetoric. This is especially true when one considers that Armenia is the party that seeks to introduce more international monitoring procedures to the line of contact, and has repeatedly attempted to start the mutual removal of snipers from the front. Just as important to understand is the fact that no such peace or NGO initiatives are taking place on the Azerbaijani side, where the government controls all flow of information within the country, and no dissent or deviation from the government line is allowed. It is highly suspicious when, through foreign funds, someone tries to unilaterally disarm the smaller defensive party that is seeking peace in a conflict, and thus remove the only means of ensuring that peace. Another so-called peace building initiative gathers activists from both sides in a neutral third country where they discuss how peace should be pursued. Usually, Armenia is presented as the aggressor in these meetings and the hapless foreign-sponsored activists selected to represent Armenia are too uneducated and uninterested in national interests to give any counterarguments. 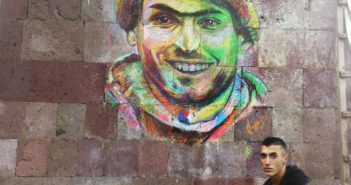 It would behoove the Armenian participants to remember that their Azerbaijani counterparts come from one of the world’s most controlled and closed societies, which overwhelmingly supported making an axe murderer into a hero. 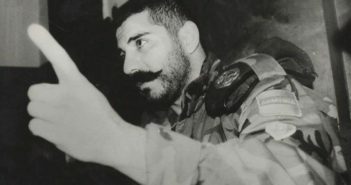 For example, Ramil Safarov axed to death the Armenian lieutenant Gurgen Margaryan while he slept, during NATO Partnership for Peace English language courses in Budapest, Hungary. Eight years later, after his government paid a large bribe in the form of a loan for his freedom, Safarov was welcomed home as a national hero when he returned to Baku, receiving a promotion, a raise, an apartment, and eight years of back pay. There is also an online movement of many of the same “anti-militarist” peace activists on Armenian social media who use every opportunity to show their animosity and disdain toward the Armenian Armed Forces. Everything related to the army is presented in a negative light and criticized at every corner. Even during the April 2016 aggression by Azerbaijani special forces, as the civilian population of Martakert was indiscriminately being shelled, some of the same activists showed up to Republic Square in Yerevan and called for peace under the innocent and inconspicuous “Make Dolma Not War” campaign. 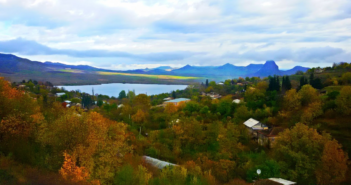 As if to imply Armenia fighting to prevent the massacre of Talish – where a couple in their nineties were murdered and had their ears cut off – was taking part in the conflict by choice. 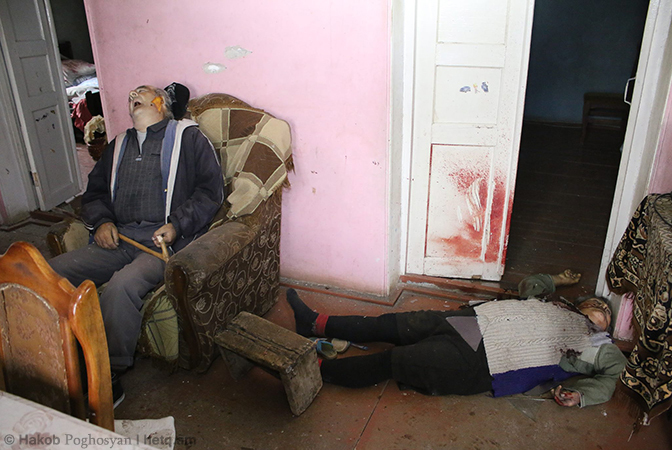 Couple murdered by Azerbaijani soldiers during April War, Talish, Artsakh. Unfortunately, these activists have become even more active in recent months since the recent government change. They have increased their presence in Armenian schools, in their attempt to win the unsuspecting hearts and minds of the children, and control the political narrative in the next generation. The basis of reasoning for many of these groups is the thought that peace will prevail once Armenia concedes the five regions of the Republic of Artsakh lying outside the former Soviet-era enclave. This irrational line of thinking, borne out of complete ignorance of basic military logic, is extremely dangerous and can lead to tragic results. This is because from a military standpoint, conceding those territories will put the remainder of Artsakh as well as the entirety of Syunik and Vayots Dzor in a untenable position. Because if Armenia were to go through with unilateral concessions, it would physically not be capable of defending the new borders it would share with Azerbaijan in Artsakh, Syunik, and Vayots Dzor. The length of the frontline would be elongated several times over, with small and thin isolated strips of territories left to be defended in Artsakh, Syunik, and Vayots Dzor (as well as Gegharkunik), while giving Azerbaijan the ability to attack those territories from multiple fronts. Moreover, Armenia would be giving up the highly fortified high ground positions it enjoys across much of the front, which are relatively easy to defend, and play a major role in Armenia’s defensive strategy. From that point forward, the further loss of territory will only be a matter of time, and up to Azerbaijan to decide. The moment Azerbaijan chooses to break the new peace agreement, it could advance forward with relative ease. And given the certain victory awaiting them and their previous acts of hostility having been handsomely rewarded with concessions of land, it stands to reason that the authorities in Baku would choose to start new acts of aggression sooner rather than later. Needless to say, concessions will result in more massacres and more damage to the country – the type of damage that cannot be undone or repaired easily. 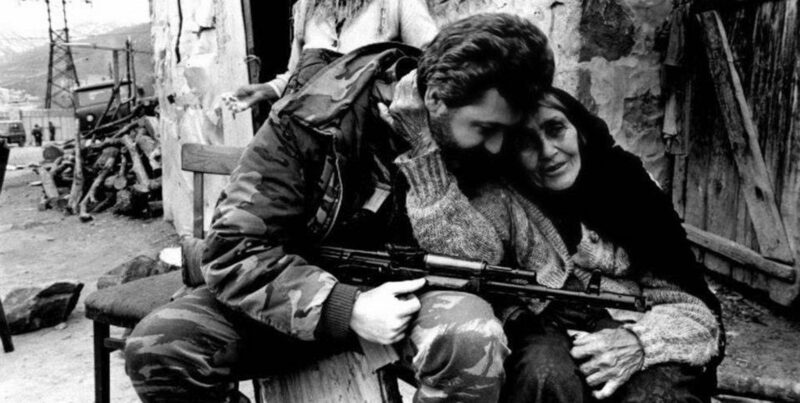 Armenian pacifists can study the situation closer, especially with the accumulation of forces on the Artsakh frontline which has been going on since April, as well as the tense situation on the Nakhijevan frontline (especially in the region of Areni and Zangakatun villages), where firing has become a daily routine resulting in several injured soldiers from the Armenian side. Moreover, they can study Azerbaijani propaganda against the Armenian Nation and the Armenian people. Only after that should they promote their unilateral “anti-militarist” peace, as they call it. Failing to see the clear reality naturally raises a lot of suspicion about the real intention and motivation of these groups and individuals, and those who finance them. In the face of a foe that has dehumanized the Armenian people, teaching its population that the death of Armenians should be every Azerbaijani’s goal, and that Sevan and Yerevan are the rightful ancestral lands of Azerbaijan, it is difficult to understand what peace these activists seek from Armenia and the Armenian Armed Forces. Considering the only goal of the Armenian Nation and its armed forces is a continuation of the ceasefire and ensuring the safety of its population, it would seem like they are placing the burden of seeking peace and the process of disarmament on the wrong party. And given that Azerbaijan at the moment shows no desire for continuing that peace, it would seem that the only way to guarantee it is by strengthening the Armenian Armed Forces, to ensure that the party that is the aggressor in the conflict does not see any incentive in breaking that ceasefire. Our history has taught us that no other country, neither Russia nor the West, can guarantee our peace and sovereignty. Our only guarantors for peace against the undeclared war are the men and women of the Armenian Armed Forces who need the utmost attention and respect of the authorities, civil society, and the Diaspora. The Nation-Army concept which has been the ideology adopted by our people for the past century should be strengthened on all levels and turned into a dynamic doctrine for this friendly country in the world’s most unfriendly region. We all want a sustainable peace based on justice and human dignity and no sane human being will promote war and bloodshed. However, the basis of a sustainable peace is the ability of sustainable self-defense – a reality which is the basis of every civilization in this world. Therefore, an “anti-militarist” rhetoric used against the Armenian Armed Forces is the last thing anyone should employ in the process of seeking peace. This article must go viral.